Can a human be made with ovum but without sperm? This article says that scientists were successful in making a mouse using only a sperm and no egg (ovum). The article also states that this procedure could be applicable to humans. However, I want to know why didn't they try with only an ovum? Can a human be made only with an ovum, i.e. without sperm? Nice question! It is actually very difficult to do so because humans, obviously, are far more complex than some animal species which naturally show parthenogenesis. Just to mention, there are female-only animals also present in nature, such as New Mexico whiptail, which reproduce only by parthenogenesis, meaning that it is not as impractical as one might think. There have been many parthenogenesis tests on mice and monkeys, but they usually result in abnormal development. This is because mammals have imprinted genetic regions, where either the maternal or the paternal chromosome is inactivated in the offspring in order for development to proceed normally. 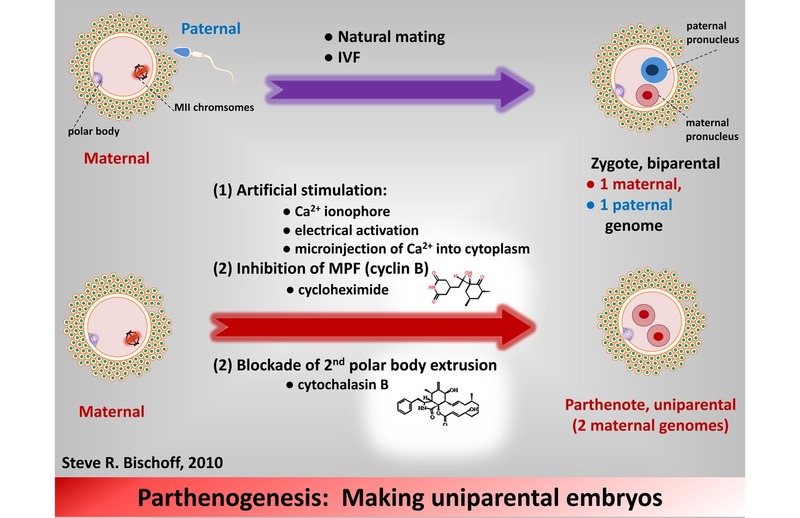 A mammal created by parthenogenesis would have double doses of maternally imprinted genes and lack paternally imprinted genes, leading to developmental abnormalities. It has been suggested that defects in placental folding or interdigitation are one cause of swine parthenote abortive development. During oocyte development, high metaphase promoting factor (MPF) activity causes it to arrest at the metaphase II stage until a sperm fertilizes it. The fertilization event causes intracellular calcium oscillations, and targeted degradation of cyclin B, a regulatory subunit of MPF, thus permitting the oocyte to proceed through meiosis. The most precise and exact mechanism is not known yet. But this does not mean that it is not possible. Actually, it has been done quite a few times; once on June 26, 2007 by International Stem Cell Corporation (ISCC), and once (controversially) on August 2, 2007 by Hwang Woo-Suk. Even the procedure for parthenogenesis (in swine though) in lab is available. To initiate parthenogenesis of swine oocytes, various methods exist to induce an artificial activation that mimics sperm entry, such as calcium ionophore treatment, microinjection of calcium ions, or electrical stimulation. Treatment with cycloheximide, a non-specific protein synthesis inhibitor, enhances parthenote development in swine presumably by continual inhibition of MPF/cyclin B As meiosis proceeds, extrusion of the second polar is blocked by exposure to cytochalasin B. This treatment results in a diploid (2 maternal genomes) parthenote Parthenotes can be surgically transferred to a recipient oviduct for further development, but will succumb to developmental failure after ≈30 days of gestation. The major problem with parthenogenesis in humans is the abnormal development of embryo. This has been accounted by a phenomenon known as genomic imprinting. Genomic imprinting is the epigenetic phenomenon by which certain genes are expressed in a parent-of-origin-specific manner. For example, if the allele inherited from the father is imprinted, it is thereby silenced, and only the allele from the mother is expressed. The death of diploid parthenogenetic or androgenetic mammalian embryos is determined by the absence of expression of the genes of imprinted loci of the maternal or paternal genome, which leads to significant defects in development of tissues and organs. How this exactly works is not known yet, but it is supposed that it evolved to prevent parthenogenesis. Bi-parental reproduction is necessary due to parent-specific epigenetic modification of the genome during gametogenesis, which leads to non-equivalent expression of imprinted genes from the maternal and paternal alleles. Thus, genomic imprinting seems to be ineffective during normal reproduction. As a side note, in the article you refer to, the researchers did not just mix two sperms and produce diploid zygote or something like that. In the procedure, they injected a normal sperm to the above explained abnormal embryo, which later on proved to be viable. They, thus, showed that these kind of embryos can also become viable if they get fertilized by a sperm within time. Genomic imprinting is a barrier to parthenogenesis in mammals; Kono T.
Not the answer you're looking for? 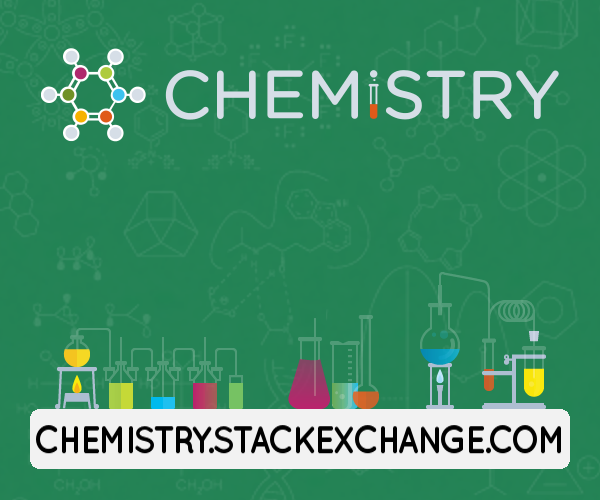 Browse other questions tagged biochemistry molecular-biology reproduction cloning or ask your own question. If a woman was fertilized with her own DNA, would it be her clone? Can PCR tubes be made of different materials than plastic? How does proximal centriole of human sperm function? Does Human being have potential to perform parthenogenesis? How do the three mechanisms of the 1000X improved “new” vancomycin work together? Why are my calculations for O2 requirements of daily metabolism so far off?